Working in collaboration with The&Partnership and Kinetic, this clever campaign was designed to present the Toyota Hybrid’s key benefits when they’re most demonstrably apparent; in slow moving traffic and in inner-city areas. 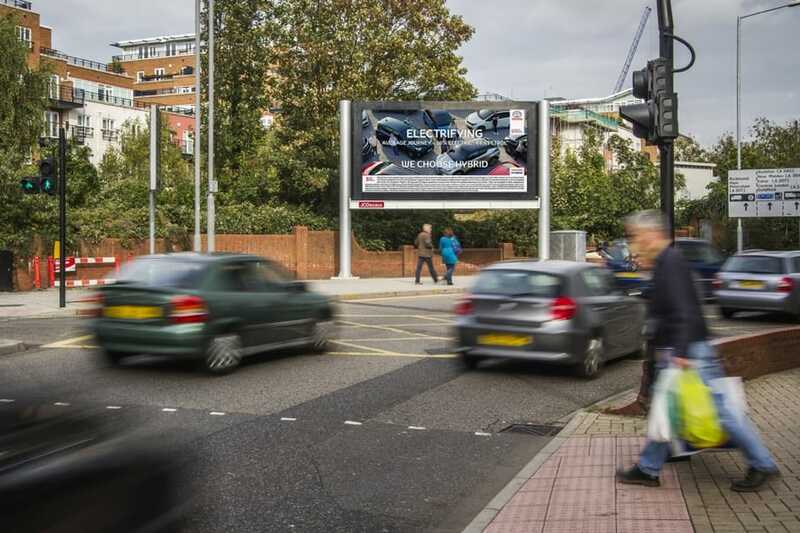 Featuring on more than 70 roadside screens, specific content would automatically display based on live traffic speeds passing each screen, all powered by our DRIVE platform. This campaign is an excellent example of how to optimise dwell time and ensure data served to customers was always contextually relevant, delivering the benefits of the hybrid engine in the strongest way possible.